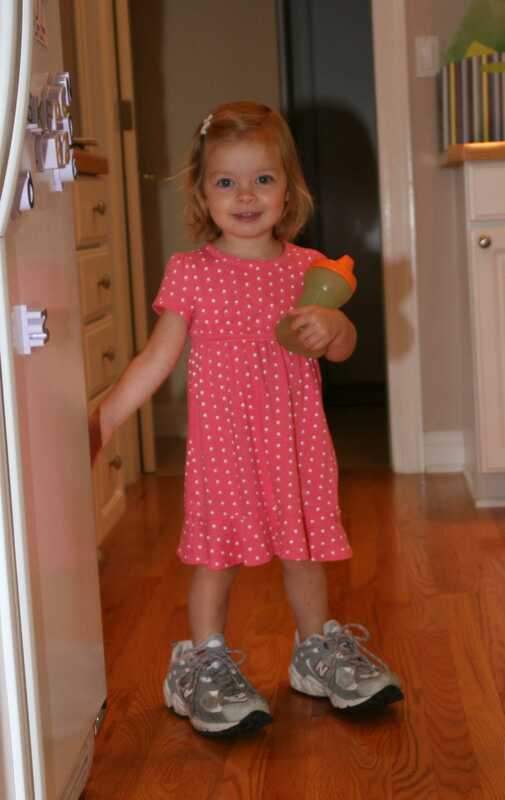 I caught Kami walking through the kitchen with my tennis shoes on. She was giggling while walking. Fun everyday at our house!